Have you heard of Marie Kondo or the KonMari method of decluttering your home? If you haven’t yet, you will. There is Life-Changing magic that sparks joy when you declutter and only keep what you love. (I’ve even created a Konmari checklist that I’ll share in this post). Last week, I called my friend & she was right in the middle of organizing her closet with the Marie Kondo folding method. 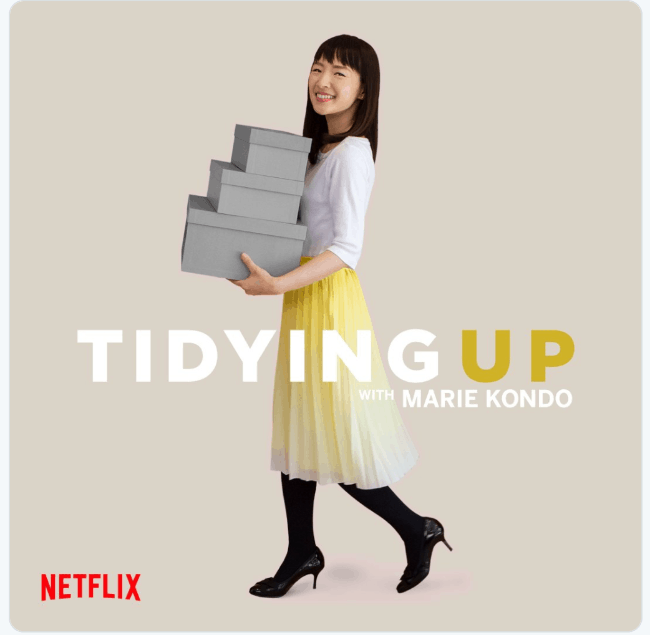 I had heard about KonMari decluttering and organizing in the past, but when my friend said that Marie had a show on Netflix, I tuned in. 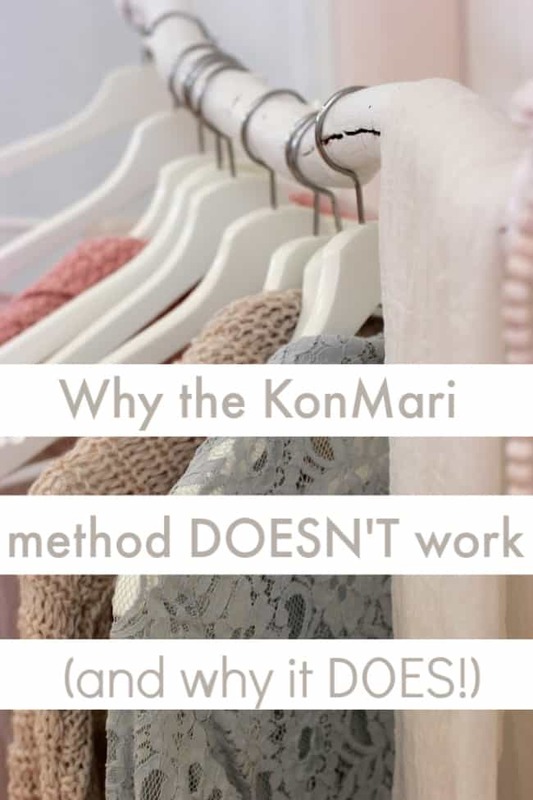 Will the KonMari method work? I loved what I saw. 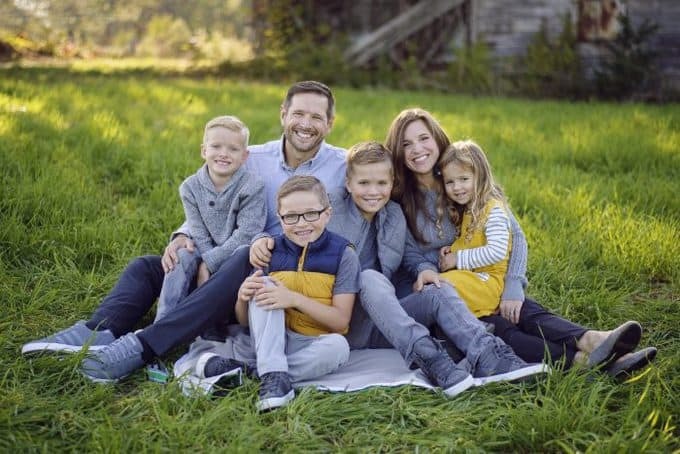 It was similar to what we’ve been doing in the sense that we only keep things that we genuinely WANT in our house and rid ourselves of things that bring me frustration (things that become messy or feel in the way). I have been living this type of life for many years, and I stick with it for a good reason. Just like Marie Kondo says in her book: Life-Changing Magic of Tidying Up… decluttering and keeping what you love is what sparks joy. 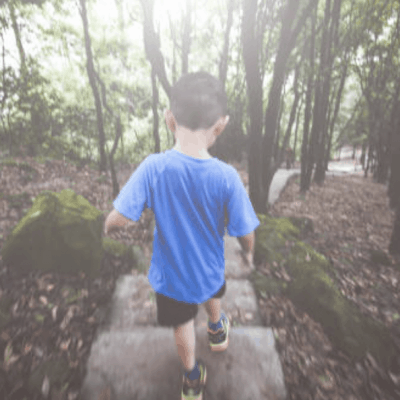 Tidying up the Japanese way is really a method to teach the world about decluttering, but more about WHY they should declutter, instead of just HOW to declutter. If you’ve watched the Netflix show or read the book, you already know about the Japanese art of decluttering. Why does this work? Clutter = Stress. When you get rid of the clutter, you find joy. I’ve gone through many “declutter” times. Those times when I’m just fed up with the clutter, miscellaneous items & mess, so I tell everyone that we’re “Decluttering this weekend.” It’s so freeing to get rid of what you don’t need. 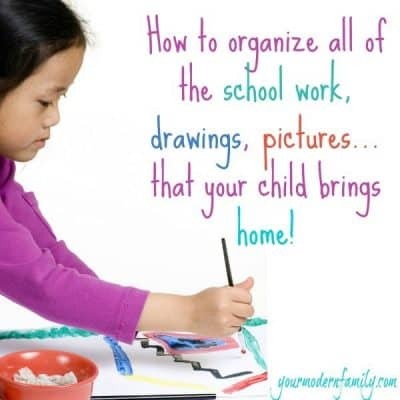 I remember the first time that I had the kids help me do a major decluttering around the house. We would toss things into the bed of Mickey’s pickup truck as the day went on. By the end of the day – we had filled the bed of the truck with extra stuff. It was the first time that our kids found the joy and freedom that comes with getting rid of things you don’t need. If it feels so great to declutter… Why is it so hard to start? While I didn’t realize it at the time, because it was before Marie Kondo wrote a book, I have been living the Konmari way for many years. I even developed a declutter course (several years ago) to help others get organized because I knew that so many people struggled in that area. The feedback has been fantastic. Everyone feels the same way when they are done: HAPPY. I think that’s why Tidying Up (on Netflix) because such an instant hit: when you clear the clutter and only keep the things that truly matter to you, you feel free, happy and at peace. This book, and show, teach people how to let go of things. Marie Kondo method works because you keep what brings you joy (no matter how much or how little). When you learn to part from those things that you don’t like (the things that don’t make you feel joyful when you look at it), that’s when you find the sweet spot. It’s when you learn to stop looking at each item and think “What if I need this one day? Or “What if this comes back into style?” You just keep what you like. That’s when the magic of typing up happens. 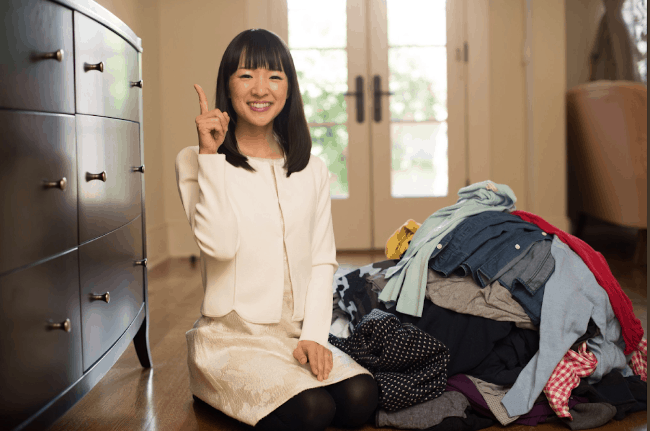 How do you get started with the KonMari Method? Why Start the KonMari Method in the bedroom? I start in the bedroom because it’s great to go to a place that brings you peace and joy when you need it most: the beginning and the end of the day. End your day on a good note and begin it the same way. If you are in a room that feels clean, fresh and peaceful, you will feel that way, as well. 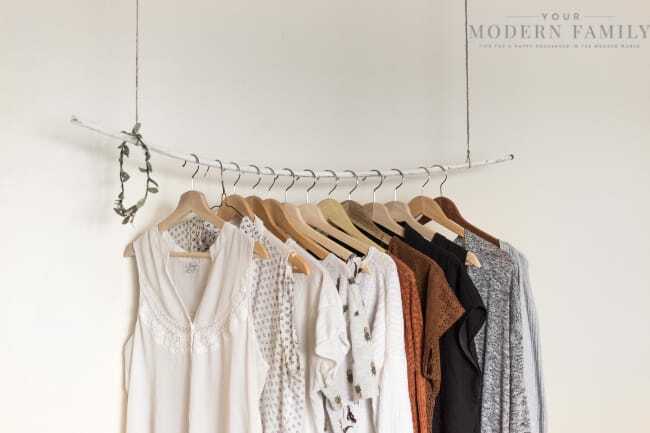 Starting in the bedroom also allows you to start with clothing, the first thing on her declutter list. Marie Kondo suggests following this order for decluttering. 1. Realize that this is your new life. Yes, you can take our declutter challenge, and that’s how you will jumpstart your new life, but then it’s up to you to keep it that way. How? Read #2. 2. Every month (or more often), go through a room and make sure that you still feel that way about everything in there. 3. If you have kids, use this time to TEACH them, so they will have homes that bring them joy when they are adults. 4. Realize that even though you think you’ll “need this one day” or you think it will “come back into style,” realize that it won’t. Most of the things you get rid of are things you won’t even remember you had. 5. Don’t sell it. I don’t suggest trying to sell items that you are getting rid of because it takes longer, you become distracted, and they remain in your house. This is one time when you need to LET IT GO. 6. It’s not all or nothing. I don’t keep our t-shirts in drawers. They all stay hung up on hangers. 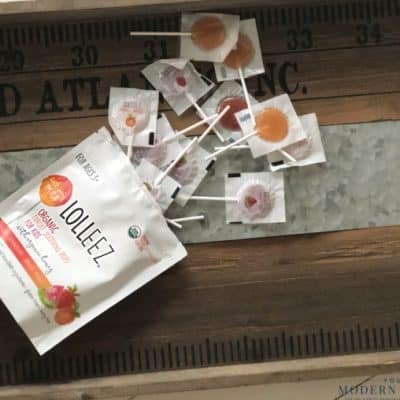 With that said – our sons do the KonMarie folding method where they fold the sleeve a certain way and then the shirts stand upright in their dresser drawers, and they say it’s so much better. 7. Don’t buy MORE. Be intentional about what you buy (a good deal isn’t a reason to buy). 8. Do what makes YOU happy. When it comes to your home, don’t try to please anyone except yourself and the people that live there with you. If getting rid of things makes you happy- get rid of those things. If keeping them makes you more comfortable, keep them. Do what works for you. 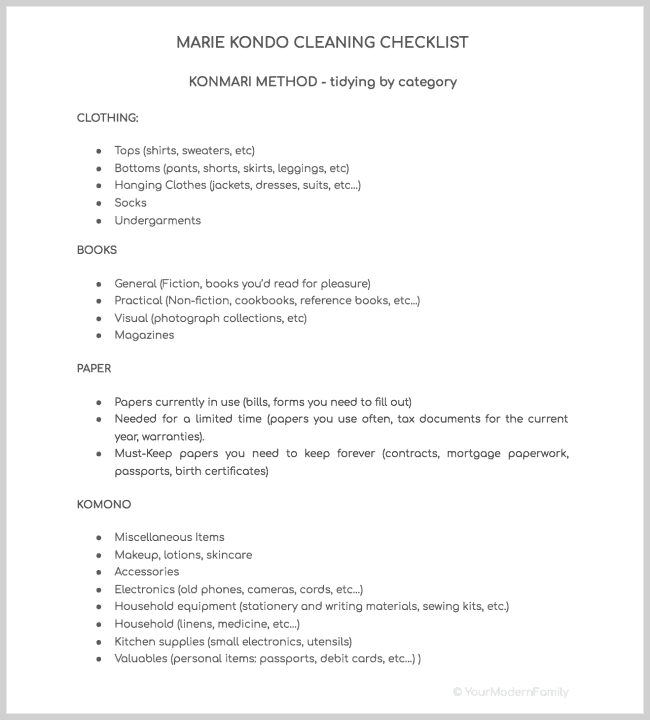 You’re welcome to download this KonMari Checklist (this includes everything except sentimental items). Do that area last. What comes from decluttering: You’ll find yourself yelling less, becoming frustrated less and just feeling more at peace. Think of it as a clean countertop. When you can keep the “mess” in the sink – it’s fine. When the dirty dishes spill onto the countertop and then take over the table… it’s gone too far. You can no longer cook there, eat there, prep there. 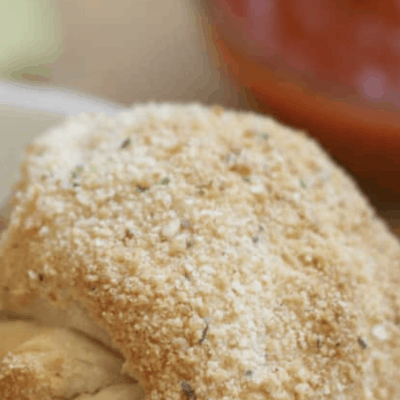 When you scale everything back to the kitchen sink…the rest falls into place. You start eating at the table again; you begin conversing at the island with your family, you start prepping on the countertops. Let your home be an extension of you. Clear your mind by clearing your clutter. Bring in JOY by letting go of STUFF that’s holding you down. If you want to get started today and have your own “jumpstart,” I’ve created the Declutter course. Just remember to move forward with this… call this your new way of life. You will have LESS stuff that brings you down and MORE joy that lifts you up. Welcome to the new you!